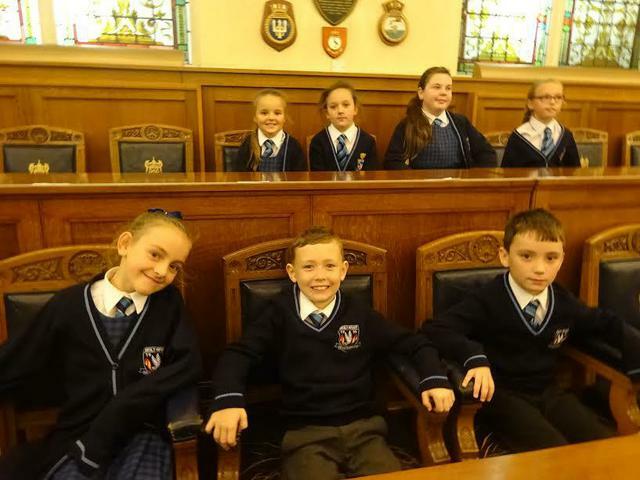 In the week before half term our Junior School Council representatives were invited to BootleTown Hall to meet local councillors and tour the impressive Town Hall building. 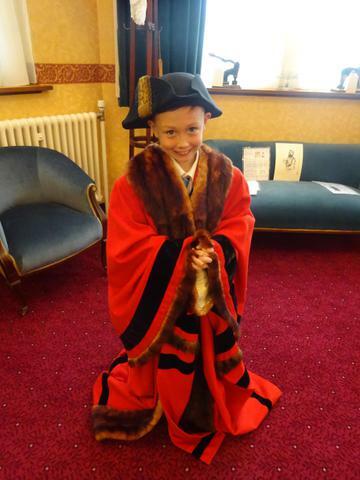 The children were very lucky to be able to try on the Mayoral robes and chains and to hold the actual Maces which are used at formal council meetings. After a tour of the chambers, the children met three local councillors and asked them questions. All of the councillors and Town Hall staff commented on how smart the children looked in their uniforms. Myself and Mrs Proffitt were so proud of the school council representatives. They were fantastic ambassadors and made a wonderful impression.